Working with children it was only a matter of time before I developed Pink Eye/ Conjunctivitis which is caused by a highly contagious virus which leaves the eye gunky and irritated, however quick treatment with this natural remedy relieved the eyes and cleared the virus within 48 hours. Take a 1/4 teaspoon of honey. 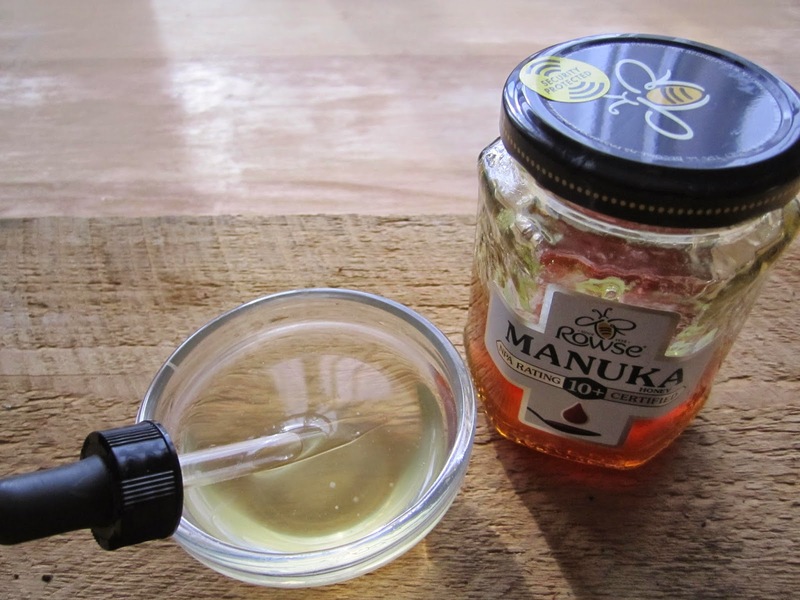 Manuka is best if available as contains a natural antibiotic. 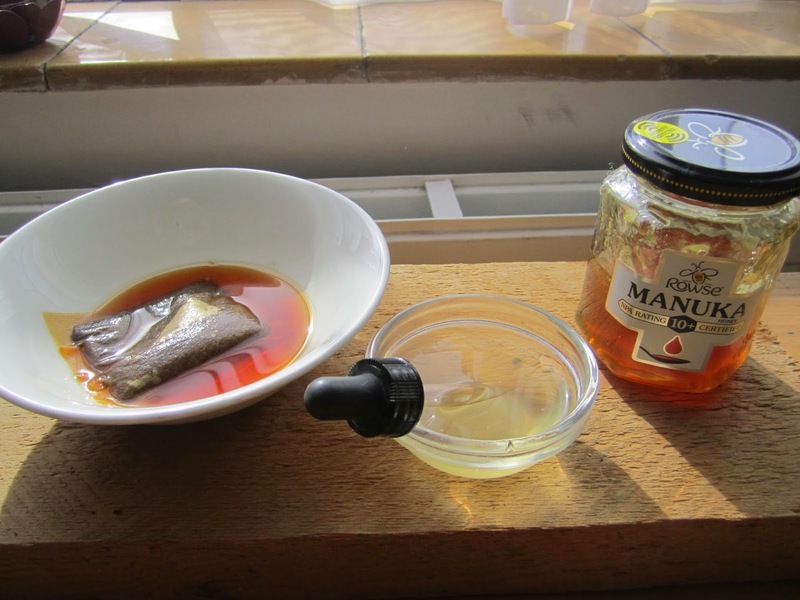 Dissolve honey in tepid pre boiled water. make sure the water is only just warm enough to dissolve the honey as too much heat will destroy the healing properties of the honey. Take a pippet and draw up enough drops to wash the eye, tilt the head and squeeze the head of the pipette, the drops will release. When dropping the liquid into the eye be careful not to touch the eye or surrounding area so as to avoid any contamination. Wipe any residue liquid that may spill over from the eye away from the area, wiping central nose area to outer face, use disposable cotton wool, tissue or material, wiping away once and disposing, use a fresh piece to wipe again. Often the infection will affect the other eye shortly after noticing symptoms in the first eye as it is so contagious. I also bathed my eyes with two teabags of regular black tea which had been left to seep in a little boiled water until cool and then closed my eyes and laid a bag on each of my eyes for a minimum of ten minutes, I found this surprisingly cooling. I used the drops the first day when I realised my eyes were more than just tired and gritty but infected and also the second day. I repeated the drops at regular intervals of about two hours throughout the day and used the tea bags before bed. I used unbleached tea bags as I only have unbleached in the house. I do not know if using bleached bags would leave you open to irritation, I suspect it might.